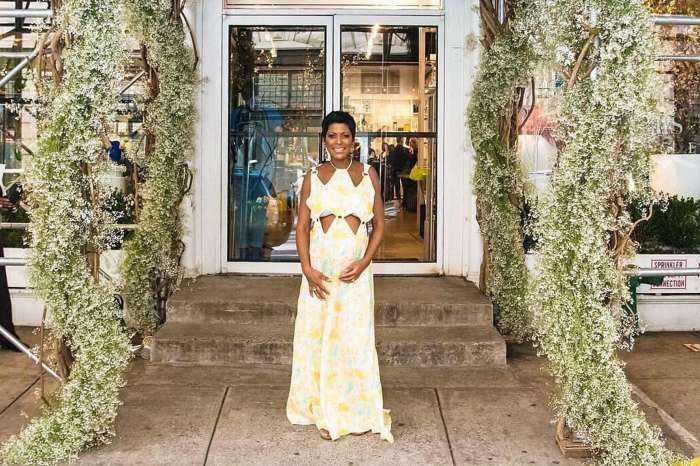 Tamron Hall is about to go in labor any day now which is why fans have been sending her tons of prayers and positive vibes as she gets ready to enter into the beautiful world of motherhood. The former co-host of the TODAY show and wife of Steven Greener took to social media and she posted a gorgeous picture where is wearing a white dress. Tamron said she is now nine months pregnant and has been spending a lot of time researching terms like going in labor, water break, and baby dropping. Fans and supporters are wishing Tamron well and holding her in their prayers. Behind the scenes!! @donlemoncnn just received the @safehorizon Voice of Courage award and this is how we celebrated. #southernchildren always having fun. My honor to present to my Darling Don well deserved. 😳 3 days ago this fit. Bump waits on no one or any fashion. First event with bump. @tenelleveira on face @johnnywright220 on hair and someone needs to be on invisible tape before I leave lol. @netaporter #rolandmouret dress. #babyonboard A FEW MORE WEEKS TO GO!!! All the best, mama Tamron!